Becoming a shipper of choice has its benefits. You can reap rewards just by showing your carrier that you value their time and services. And included in those rewards is the strong possibility of discounted shipping rates and preferred service. Here are several ways that you can become a shipper of choice. Your first engagement with a new carrier should be used to build trust. You should state your expectations for pricing and service. Transparency from the onset helps build a solid foundation for moving forward. 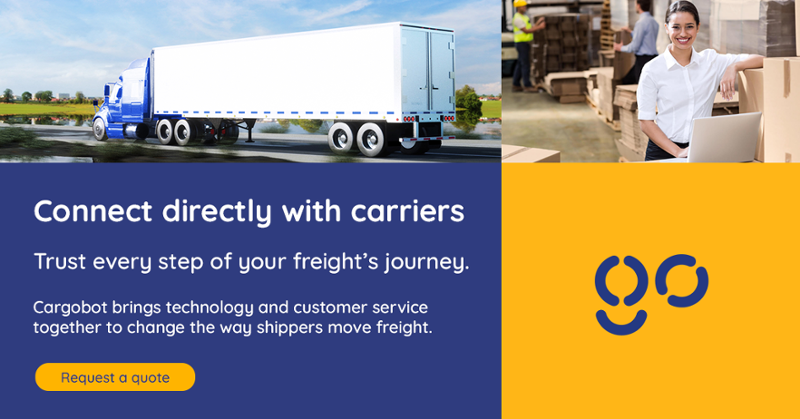 This is the time to inform the carrier of any issues that your previous carriers might have encountered with delivering your freight. The more flexible you can be with scheduling pick-ups will help you gain shipper of choice status quickly. By being available on off-peak hours or weekends, you are helping carriers maximize their time on the road. Instead of dealing with traffic and rushing to arrive at your loading dock by 3 p.m. on a weekday, drivers can be more efficient for their carriers. You need to have staff available and your gates open for drivers, too. Do not leave a driver waiting at the dock just because he has arrived earlier than the set appointment time. But also, do not leave them sitting in a line that extends out to the street also because you are running behind. If it is going to take you a while to load, allow the driver to drop their trailer so that can take a break and get a meal. If you know ahead of time that there will be a delay with loading, make sure to contact the carrier and/or the driver to let them know of the delay and give them updates. To do this, you will need to have their contact information beforehand. This gives the driver the opportunity to adjust their route or stop and take a break before arriving at your location. While it is an investment on your part, implementing a drop and hook operation shows carriers and their drivers that you value their time. Drop and hook is usually faster than live loads. Adding the ability to weigh loads at your drop and hook facility also helps drivers. It helps them avoid being caught with overweight loads as they cross over into other states and stop at weigh stations. Drivers appreciate having a comfortable place where they can use a bathroom, have a snack or just unwind if they must wait an hour or two during loading. The problem is many places refuse truckers the basic human dignity of being allowed to use onsite restrooms while their trucks are loaded. Treating the truckers as you would want to be treated will go a long way towards becoming a favorite of carriers. If you know you have a carrier pickup scheduled, make sure that the gate is aware that the driver is expected. Signs to the loading area and plenty of room for turning will assist the driver in finding your loading dock. Do not forget to make sure that nothing is blocking access to your loading dock that would make it difficult for the driver to back in. Give your carrier as much notice as possible. Last minute shipments can be a headache for carriers. With more lead time, the carrier has more time to position their drivers and trucks. Forecasting your shipments allows your carriers to plan ahead and helps you avoid scheduling at the last minute, which will earn you higher rates. While your carrier’s invoice might give you a 60 or 90 day window to pay it, they really do appreciate it if you pay sooner. This gives the carrier the operating cash they need to keep their drivers on the road. Paying your invoice earlier works toward becoming a shipper of choice. With a shortage of truckers, there is a high demand for freight transport. Carriers are becoming more selective with the shippers they choose to work with. It is in your best interest to work toward being a shipper of choice. Cargobot is the new way to bring shippers and carriers together. This free service allows you to post your loads and then have carriers place bids to move your freight. Cargobot puts you in the driver seat and gives you access to qualified and screened carriers that you can build partnerships with to your mutual benefits.